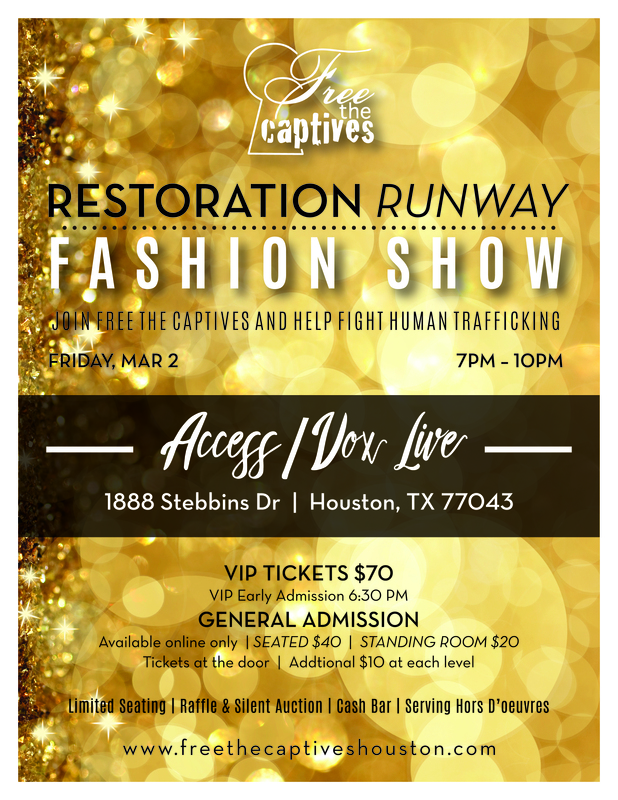 Free the Captives will be hosting its 2nd Annual Fashion Show! Join us on Friday, March 2, 2018 for a night of fashion and entertainment. All proceeds benefit Free the Captives and the teenage trafficking survivors we serve! Tickets are LIMITED! Buy yours today! Interested in becoming a sponsor or donor for our 2018 Restoration Runway Fashion Show? Email volunteer@freethecaptiveshouston.com for more info! Clyde J. Moore, Attorney at Law, P.C.